See Satellite Images From Google Earth With New Tab On Chrome. Earth View from Google Earth is an extension by Google Which lets you experience the beauty of earth every time you open a new tab in Google Chrome. The images display by Earth View are satellite image from Google Earth. 1. Go to Chrome web store a search for Earth View, or simple click on the above download link and click on “FREE (ADD TO CHROME)“. Granting Permission to Install Earth View on Google Chrome. 3. Now, Earth View icon with message pop up appears at upper right corner of browser, indicating that the extension has successfully integrated with the Chrome. 1. If you aren’t using any new tab extension, then you should starting satellite images from Google Earth every time you open a new tab. Earth View New Tab on Google Chrome. 2. Saving the image, more option at top right side. 3. To share the image, check out top right side. 2. Now, un-tick the Earth View to temporarily disable the extension. Click on the dustbin icon and you will be greeted with pop-up, click “Remove” to remove the extension from Google Chrome. Next story Which 16 Characters is Causing Chrome to Crash? 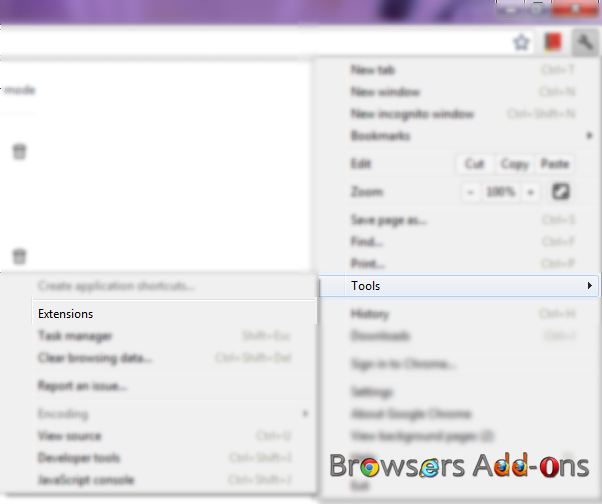 Previous story Change Your Default Browser In Windows 10 In 4 Simple Steps.